It has been reported that most accidents happen at home. 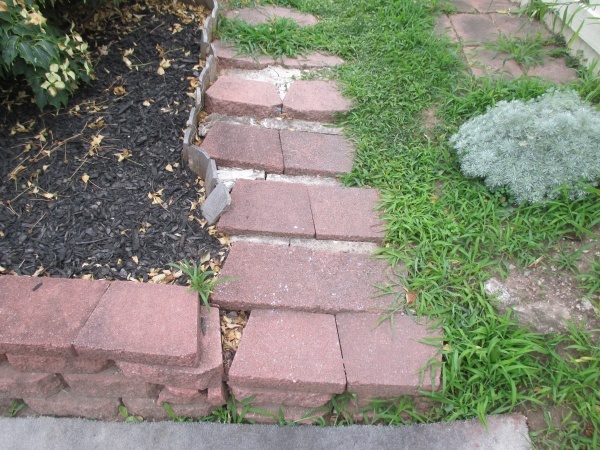 Hopefully, your steps and walkways are not the culprit. It is so important to maintain your property, not only for value and beauty, but for the safety of you and your family. 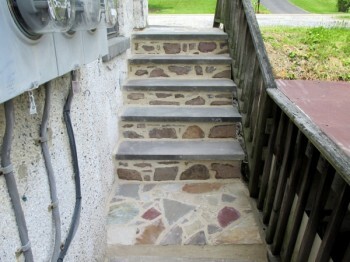 Over time, concrete steps and landings can crack and crumble making for an unsightly entrance. 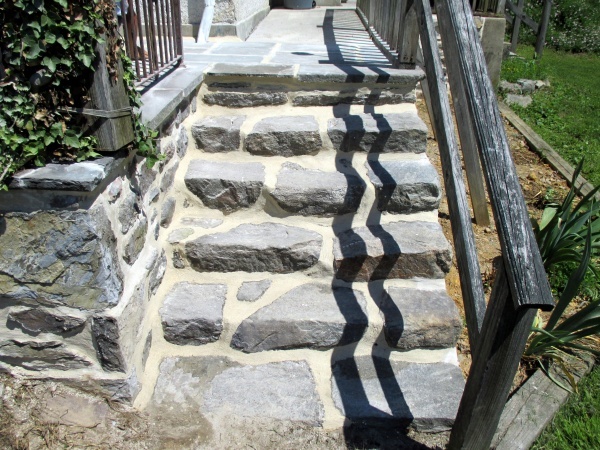 Even stone needs chipping and repointing to maintain its integrity. As you can see from this photo, what were once steps leading from the driveway to the pathway have become unrecognizable. 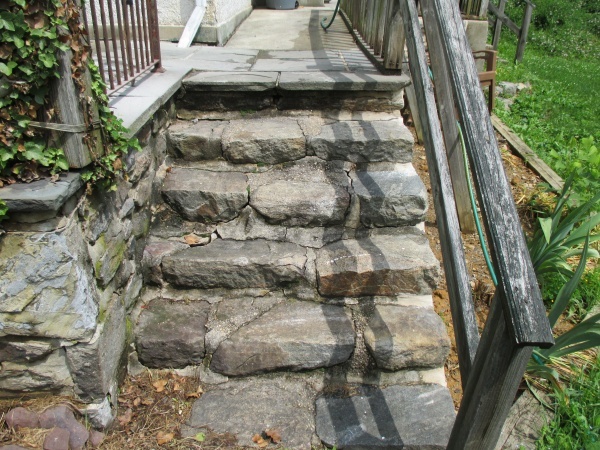 The Get It Stoned crew was able to create solid, safe steps leading to a beautiful flagstone walkway and to their lovely home. If you have stone structures already in place, the crew can chip out the crumbling mortar and repoint. The end result is solid, and the integrity of the stone maintained. 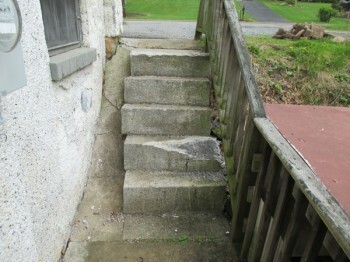 These steps were crumbling and unsafe when the Get It Stoned crew arrived. 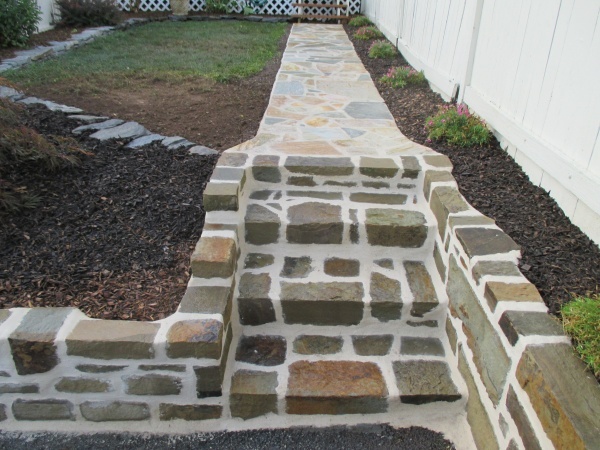 We transformed them into a beautiful passageway lasting for many years to come. Remember, just like we were taught as children – safety first. Call the Get It Stoned crew to schedule a time for your estimates . . . and remember, estimates are ALWAYS FREE! What’s Sneaking in While You’re Not Looking?